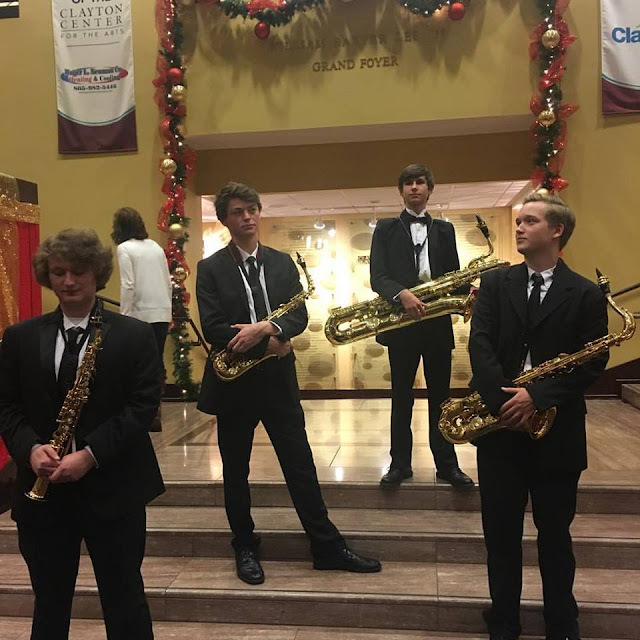 The Bright Boys Saxophone Quartet formed in Fall of 2016 with the intention of playing challenging staples in the saxophone quartet repertoire. Members of the quartet include Dalton DeLara, Carter Hatch, Spencer McDonald, and Marley Proffitt. The Bright Boys actively play in the community and were most recently invited to play at the Tennessee Music Education Association All-State Convention in Nashville, TN this April. Three out of four group members attend the same school, and were brought together by multiple honor band events.